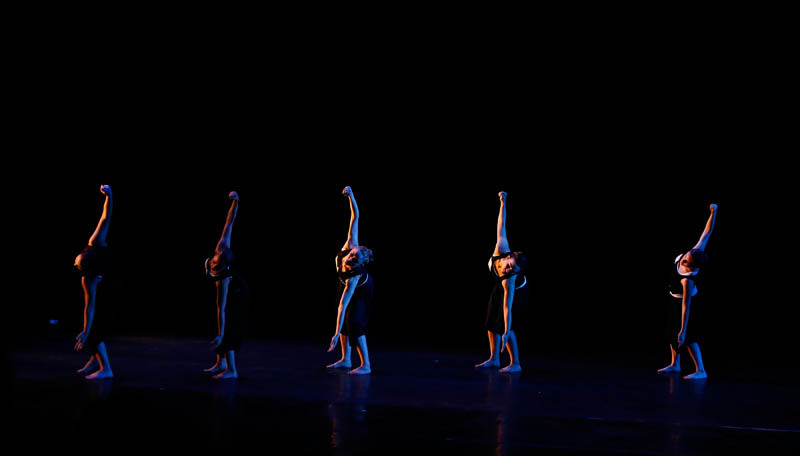 Even by the warp-speed standards of growth found across campus, the ascendance of Grand Canyon University’s dance program has been impressive. 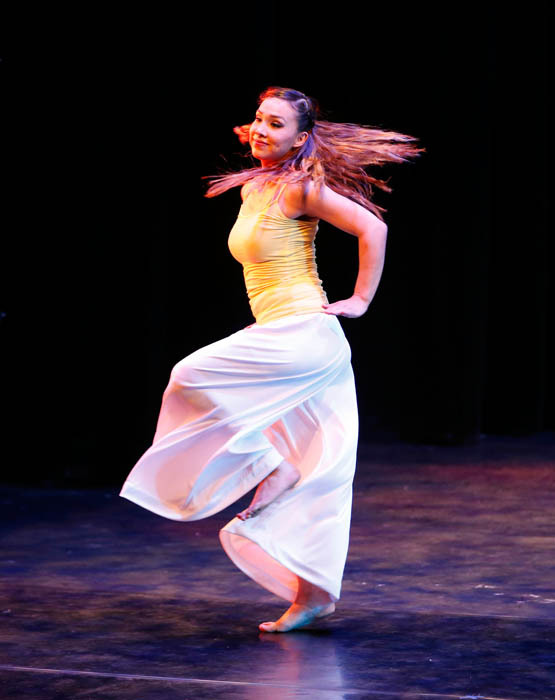 GCU never had dance until Susannah Keita was recruited by Claude Pensis, dean of the reconstituted College of Fine Arts and Production, in the summer of 2010 to build a program from scratch. 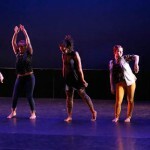 Over time, Keita brought on talented adjunct instructors such as Zari Le’on, Jenny Showalter, Kathryn Felis and Rodni Williams, and each of them contributed a piece to the spring concert, “reNEWal,” which staged the first of two performances Tuesday night at Ethington Theatre. 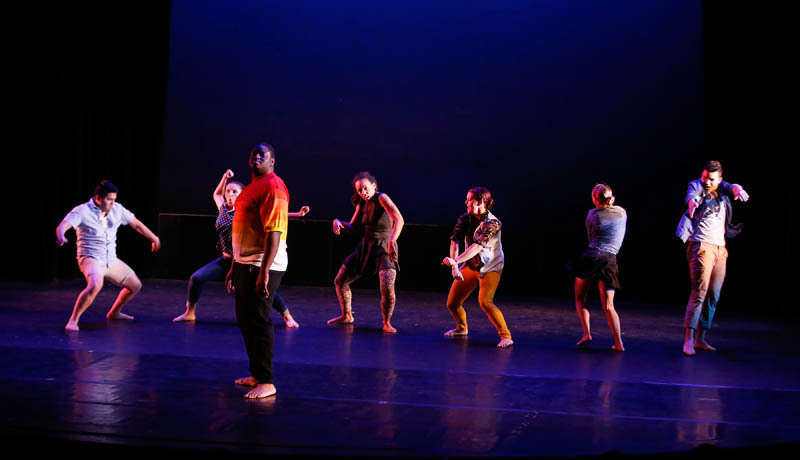 The piece “Rasanble,” by Haitian choreographer Jeanguy Saintus, closes the GCU Dance Ensemble’s spring concert, “reNEWal,” in powerful fashion. 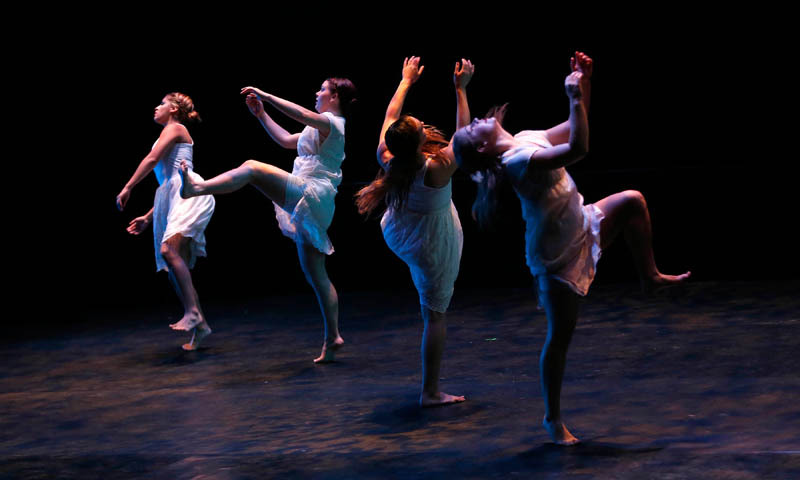 Led by sophomores Nicole Mayes and Andrea Pardi, the 27-member Ethington Dance Ensemble was uniformly excellent in the nine works that comprised the concert. The show concluded with the dynamic “Rasanble,” a physically demanding piece created by Haitian choreographer Jeanguy Saintus during a week’s residency on campus earlier in the semester. 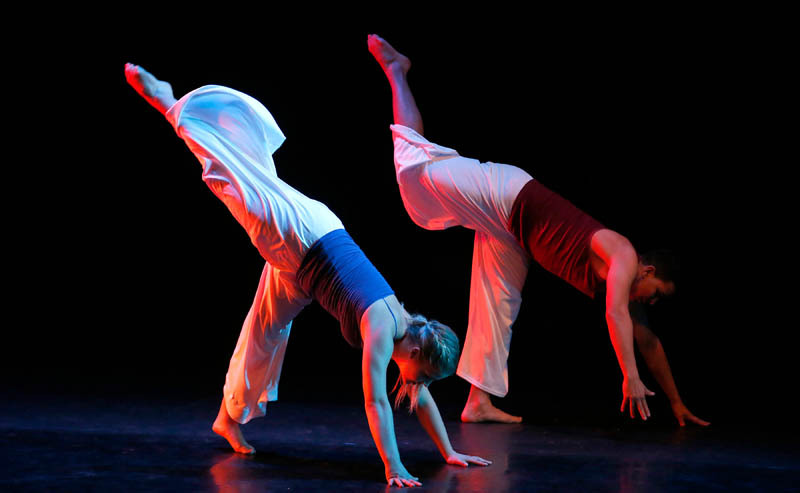 The very different contributions of Saintus, who returned to see the concert, and Leanne Schmidt, another guest artist who choreographed the whimsical-yet-wise “This Is What It Looks Like to Be Cool,” were among the show’s highlights. For those seeking variety, “reNEWal” presented it in abundance. 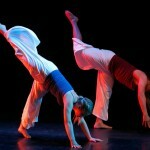 Felis’ “Machowlah” (set to Vivaldi) and Showalter’s “The Sixth Hour” relied on dancers’ classical training, and “Colossus” by Le’on incorporated a number of styles. The Le’on piece was darker and more ominous than we are accustomed to seeing from her. 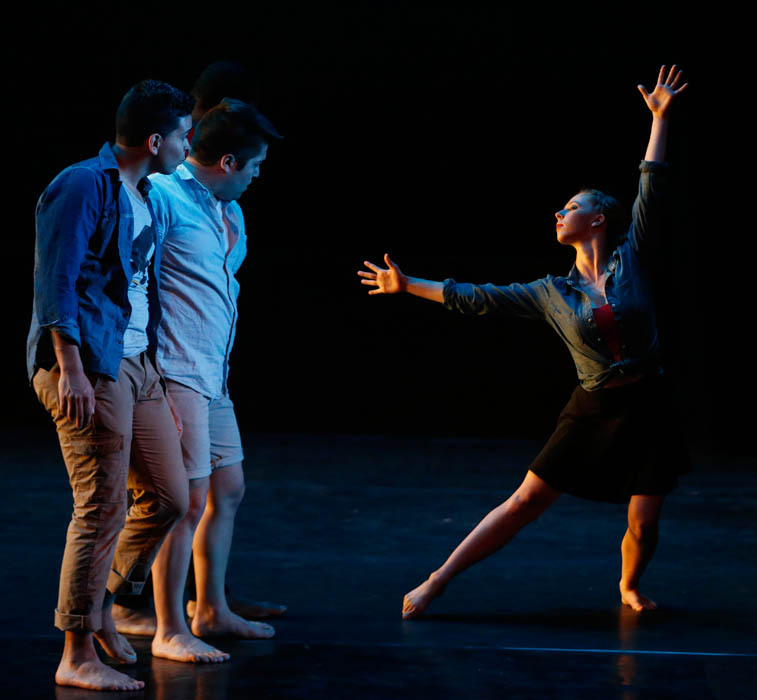 “Somewhere” from the musical “West Side Story” gave way to a throbbing, industrial-like soundtrack punctuated by sirens, serving to underscore the dancers’ disconnection and isolation. Le’on isn’t afraid to take chances in her work, and that edginess will be missed as she leaves GCU to pursue other creative opportunities. 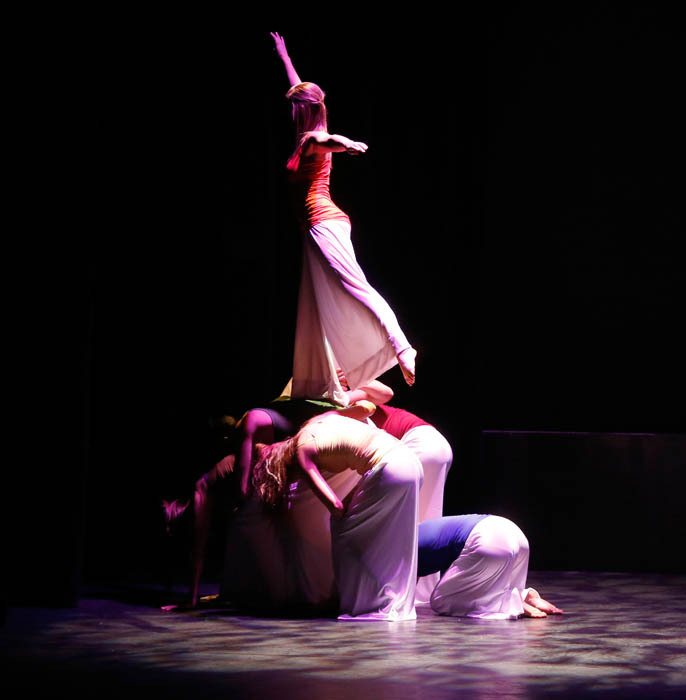 Schmidt’s piece initially was performed by its seven GCU dancers at Triskelion Arts in Brooklyn, N.Y., in March (yet another example of how the program has grown). It centered on Herschel Jackson Jr., who initially functioned as an arbiter of cool but ultimately was spurned by the other six. Throughout the work, Schmidt introduced clever, humorous touches while making the larger point that the quest to be cool isn’t so cool after all. 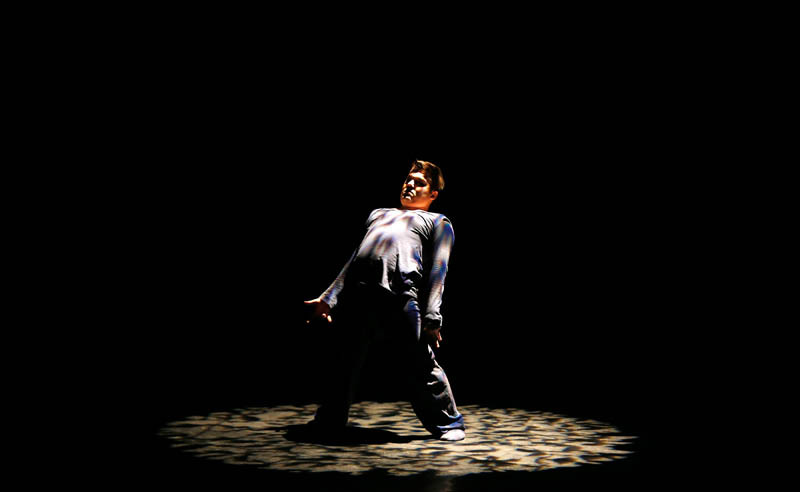 Jackson, impressively agile for a large man, was one of only three seniors involved in “reNEWal” because of spring student-teaching assignments; the others were Angie Rimbey and stage manager Ashley Brown. The rest of the Class of 2014 in dance includes Alyssa Fresh, Keely Gilbreath, Kelsey Klein, Alexandra Montoya, Samantha Newhall and Antoinette Proctor. 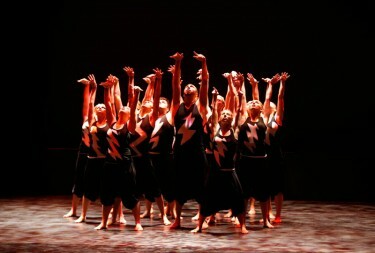 All are pioneers for their work on the Ethington stage and in Thunderground student showcases. Williams’ “Higher Up” was an uplifting spiritual piece set to “Jesus Children” by the Robert Glasper Experiment and Stevie Wonder. 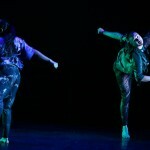 Keita’s funky “B-Sides” featured wild contortions set to the Beastie Boys, and Pardi’s highly athletic moves — when she’s onstage, it’s difficult to keep your eyes off of her — were prominent in “Game/Lightning” by a third guest choreographer, Leyva Tawil. 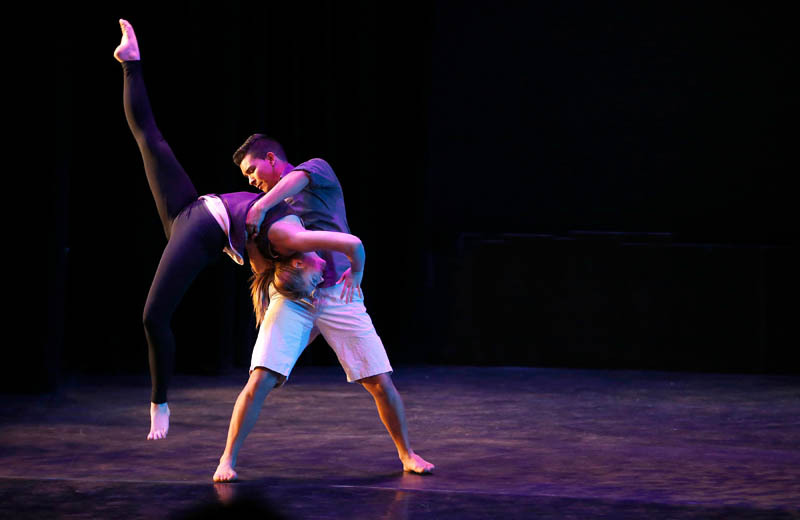 “Withdrawal,” a crowd-pleasing duet by Adam Astorga and Chelsea Buss that was created by Mayes, told of the highs and lows of a romance. 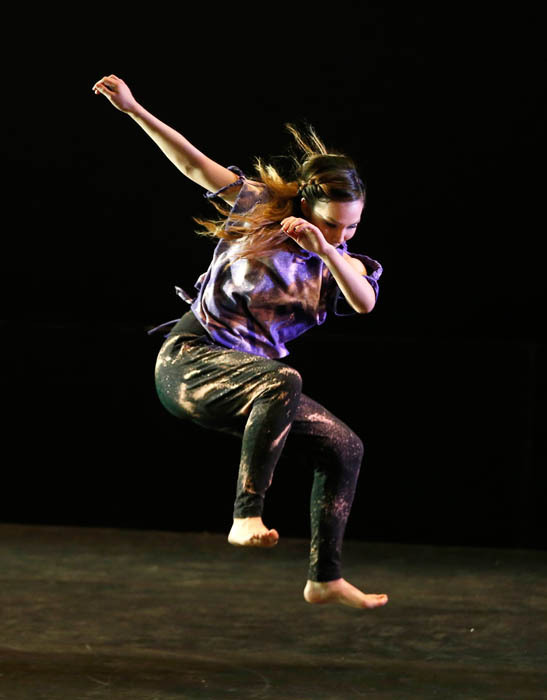 It’s unusual for a student to have a piece selected for either of GCU’s two faculty-choreographed concerts, and that speaks well of Mayes. 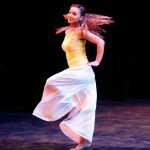 She is the complete package as a performer and choreographer. Mayes and the versatile Kathlyn Chisholm were featured in the Saintus work, which used 16 dancers — more than half of the troupe — and made us long to see his dance company, Ayikodans, in performance. 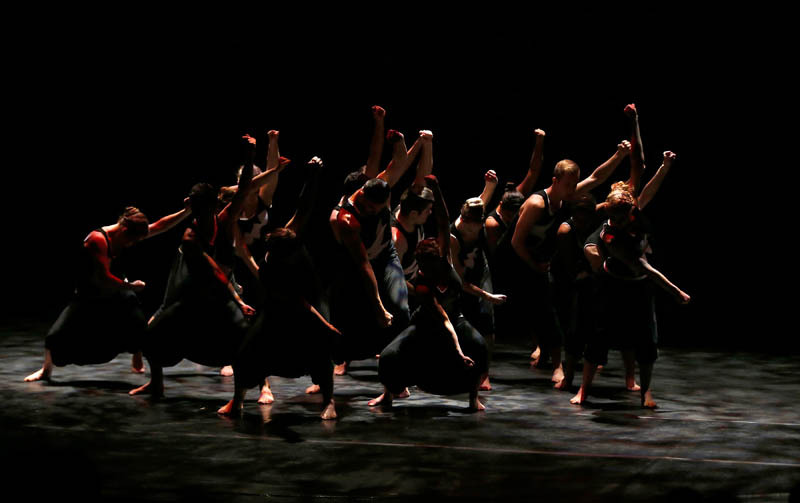 (Bringing Ayikodans to campus sometime would be nice.) 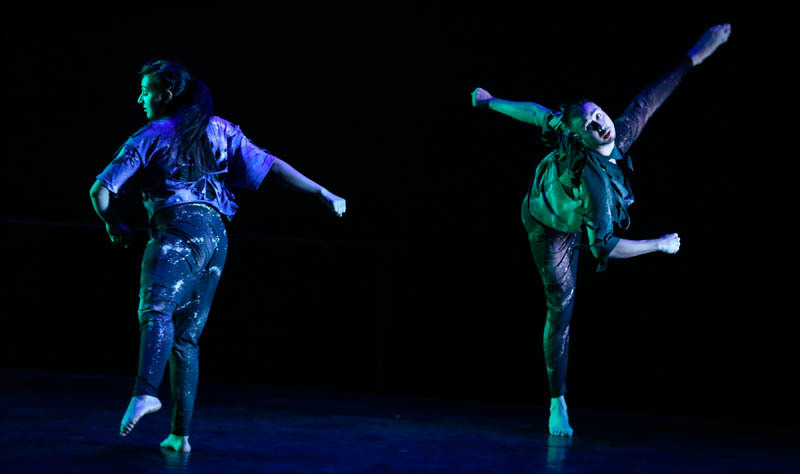 With its sharp, powerful movements and rhythmic pounding of the dancers’ feet, “Rasanble” was unlike anything GCU’s dancers have done before. It’s no wonder that Saintus’ troupe has become enormously popular in a multicultural hub such as Miami, Fla., such is the connection his work makes. Four years ago, Keita had a blank canvas on which to paint. 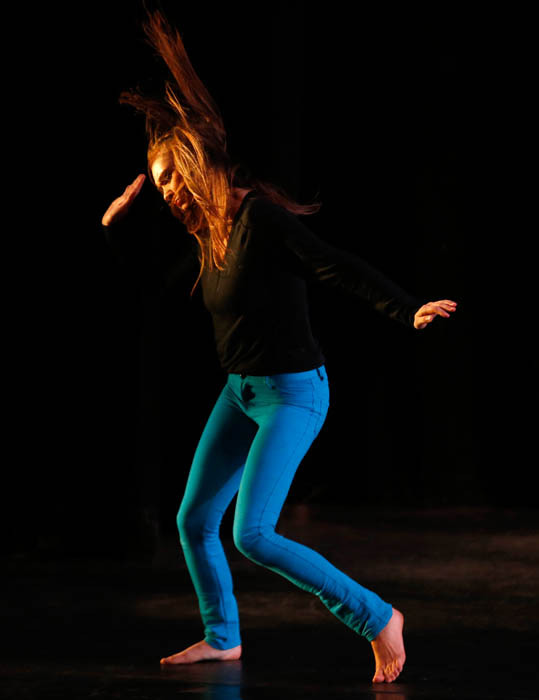 By attracting gifted instructors and talented, teachable students, she has filled it beautifully despite limited resources, and we can’t wait to see what the next four years bring for the Ethington Dance Ensemble. 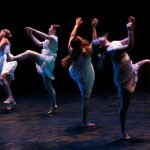 The second and final performance of “reNEWal” is at 7:30 tonight. For tickets, call 639.8880.